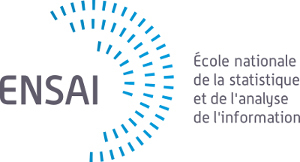 You wish to apply for the Master of Science in Statistics for Smart Data at ENSAI in France for the 2019-2020 academic year. After each deadline, no file modification will be accepted. To start filling in the form, please click on 'New application form' below. To save your work and come back to it at a later time (even if not complete), click on the button (Save for later) in the application form. When application form is complete and submitted, please upload ALL mandatory application documents one by one (of 20 Mb each maximum). If you wish to upload them at a later time, you may. However, this procedure must be completed prior to the above mentioned deadlines. No documents should be sent by mail (see Step 3 below). Any applications that are incomplete after the deadline will not be considered in the admissions process. We highly recommend that you use Google Chrome as your browser while applying, as other browsers can lead to display inconsistencies.